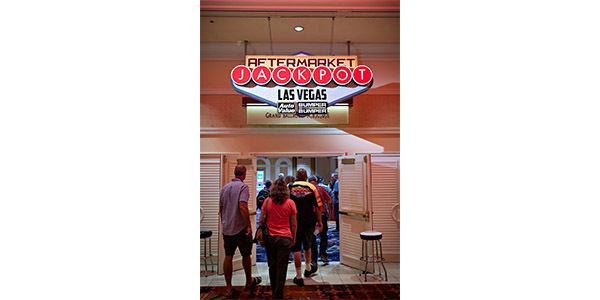 The Alliance Aftermarket Jackpot Convention made history yesterday with a record number of Auto Value and Bumper to Bumper customers crossing Las Vegas Boulevard together to attend the AAPEX Show. The group visited with supplier channel partners throughout the day, attended product training sessions in their booths, enjoyed a specially prepared lunch at the Venetian and filled up their goody bags with exclusive merchandise and giveaways. The day began with Bill Hanvey, president and CEO of the Auto Care Association and Bill Long, president and chief operating officer of the Automotive Aftermarket Suppliers Association addressing the group with a special presentation on “Know Before You Go” to highlight the major AAPEX Show happenings that await each of them at the Sands Expo. After a full day at AAPEX, they were treated to another extravagant reception and then enjoyed the entertainment of actor/comedian Adam Ferrara. The international touring headliner and host of Top Gear US showcased his love for cars along with his hilarious comedy act that has earned him two nominations for best male comedian by the American Comedy Awards. The evening closed out with the Big Money & Prize Giveaway where thousands of dollars and special prizes were given away to many attendees. 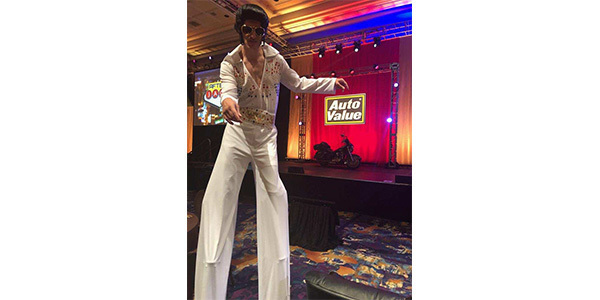 For more information about the Alliance Aftermarket Convention go to autovalue.com/convention.php or bumpertobumper.com/convention.php.